The average weight is 13 ounces and the average length is 28 cm. Usually have a gray body with a whitish rump, two black bars on the secondary wing feathers, a broad black band on the tail, and red feet. Commonly found around farm yards, grain elevators, feed mills, parks, city buildings, and bridges. 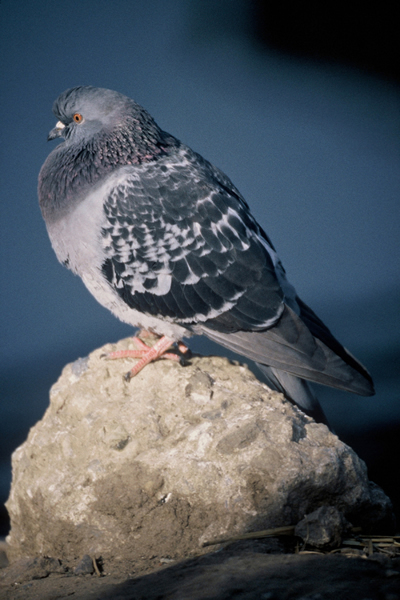 Very dependent on humans to provide them with food and sites for roosting, loafing, and nesting. Introduced into the United States as a domesticated bird, but many escaped and formed feral populations. Spread by reproduction that peaks spring and summer but can occur all season long. Droppings deface and accelerate the deterioration of buildings and increase the cost of maintenance. The droppings also spread diseases. Around grain handling facilities, pigeons consume and contaminate large quantities of food destined for human or livestock consumption. 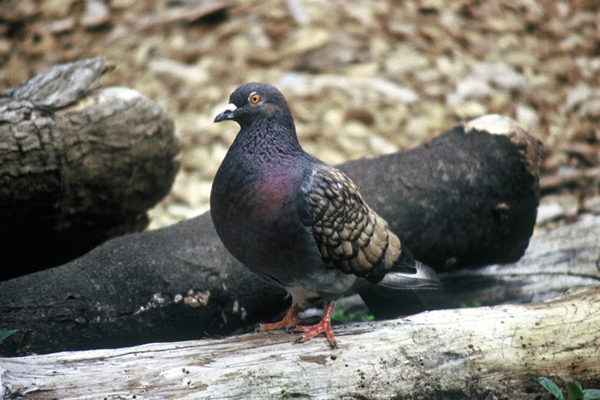 Pigeons located around airports can also be a threat to human safety because of potential bird-aircraft collisions, and are considered a medium priority hazard to jet aircraft by the US Air Force.